NAOS Marketing is recruiting candidates motivated to become Customer Service Representatives. 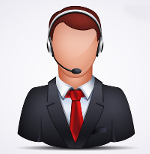 Do you know that Call Centers offer great opportunities to start your professional career? Do you want to achieve your dreams by working for a reputable company, leader on its IT sector? Do you have the desire and the ability to succeed? Register online, and you will choose yourself the date of tests and interviews with our recruiters. Copyright 2017 NAOS Marketing, All rights reserved.